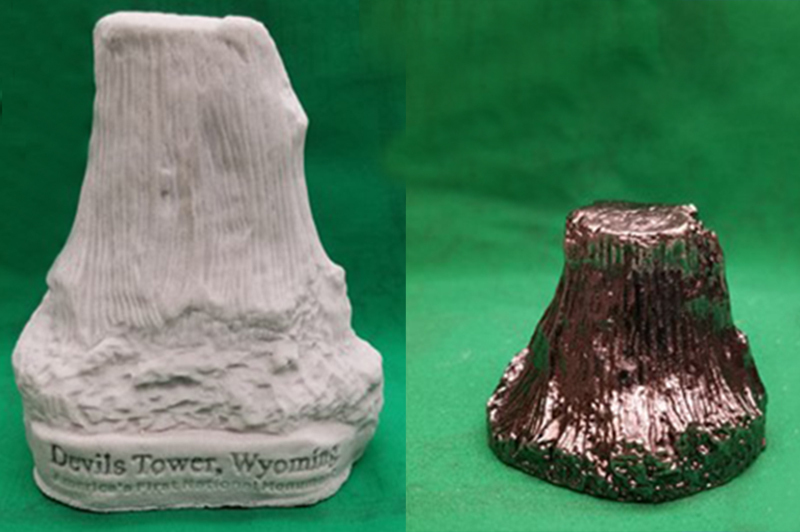 Miniature replicas of the Devil’s Tower are available from the National Monument’s website. They are made in either sandstone for $30 or a small version in pewter for $13. Thanks to Loren C. for alerting me to this availability. 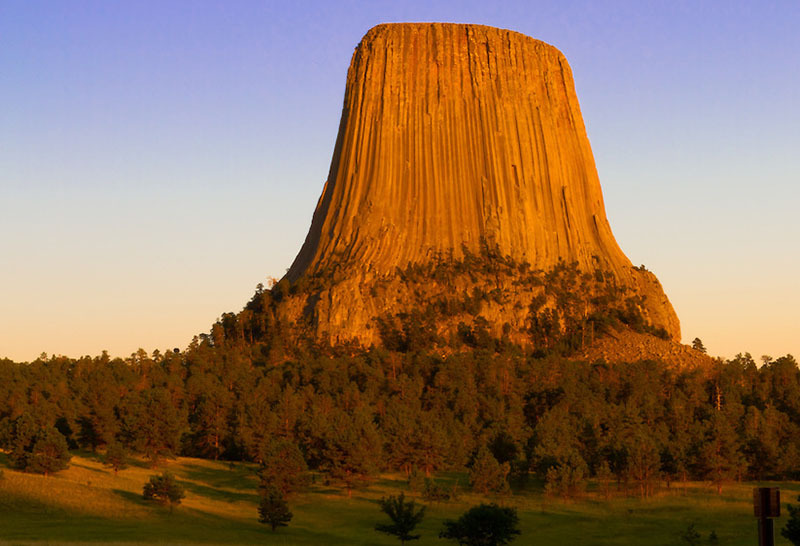 Devils Tower, also Bear Lodge Butte, is a laccolithic butte composed of igneous rock in the Bear Lodge Mountains (part of the Black Hills) in Wyoming. It rises dramatically 1,267 feet (386 m) above the Belle Fourche River, standing 867 feet (265 m) from summit to base. Devils Tower was the first declared United States National Monument in 1906, by President Theodore Roosevelt. The name Devil's Tower originated in 1875 during an expedition led by Colonel Richard Irving Dodge, when his interpreter reportedly misinterpreted a native name to mean "Bad God's Tower.” Native American names for the monolith include: "Bear's House" or "Bear's Lodge" (or "Bear's Tipi", "Home of the Bear", "Bear's Lair"; Cheyenne, Lakota Matȟó Thípila, Crow Daxpitcheeaasáao "Home of Bears), "Aloft on a Rock" (Kiowa), "Tree Rock", "Great Gray Horn,” and "Brown Buffalo Horn" (Lakota Ptehé Ǧí). Check out my previous post about 'natural souvenirs’ with other variations including and S&P shakers.